What is a good breakfast muffin? 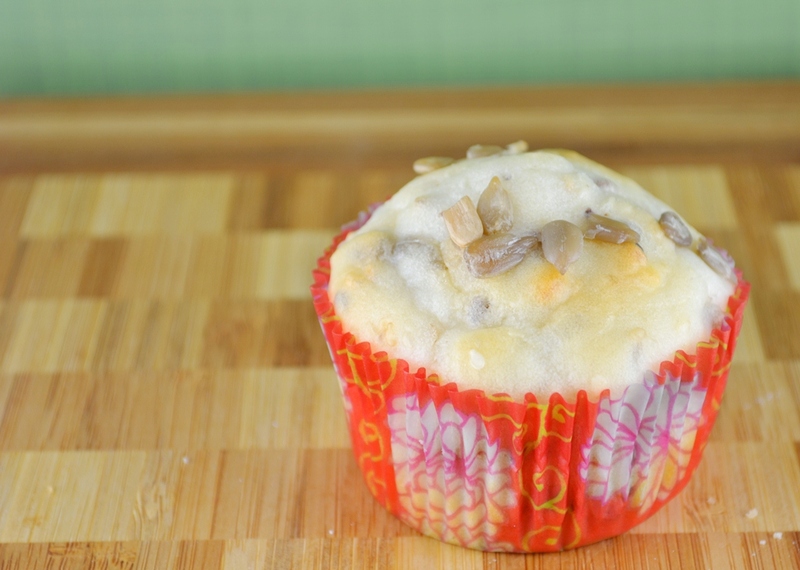 One that is not too sweet but also not too wacky, like mushroom or garlic muffins? Browsing through my muffin cook book I stumbled upon the Seed Muffin with sunflower seeds, pumpkin seeds and sesame seeds. We all know that seeds contain good oils that the body needs, so I thought this would be great to kick off the day. Muffins have been my first baking love, besides cake. I am not sure where it came from but I really liked making muffins. Maybe because they are not a full fledged cake but those tiny versions. The options you have with muffins are endless too. I mean, sweet muffins are a no brainer, many people know chocolate muffins, chocolate chip muffins, blueberry muffins, etc. but not too many are into the more savoury version, like carrot muffins or onion muffins. Since I moved to Canada I think I only made muffins once or twice. I have a favourit, the Applesauce Muffins, and I know for sure that I made those. But other than then I didn’t do anything of that sort. I guess because there are so many other options nowadays, like cupcakes, cake pops, various cakes, breads, buns, or fancy French things. I should get back to the basics though and make more muffins. Mix all the seeds together and set aside. Combine flour and baking powder and sift into a bowl, add the seeds except 3 tbsp. In a separate bowl, mix the egg, oil and buttermilk and fold in the flour mixture. Line a muffin pan with liners or grease and flour dust it. Fill it evenly and sprinkle the rest of the seed on top. Bake at 180°C for 20 to 25 min. Remove from the oven when slightly brown and a skewer comes out clean. Let the muffin pan cool a bit before you remove the muffins. Let them cool on a rack. Tip 1: I tasted the batter and added a bit a sugar because I thought it would taste better, a personal decision. 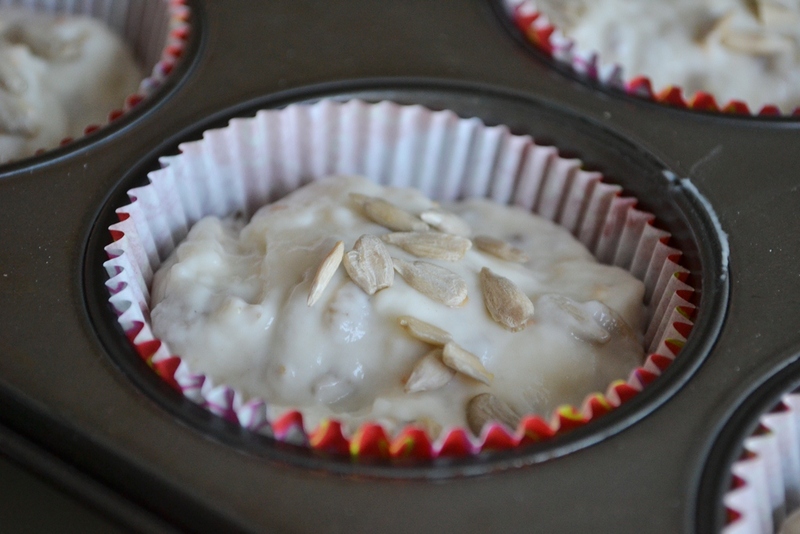 Tip 2: I had no pumpkin seeds so I just added a bit more of those sunflower seeds. You could probably use some other seeds as well. I liked the Seed Muffins and I guess you could even eat them with jam. 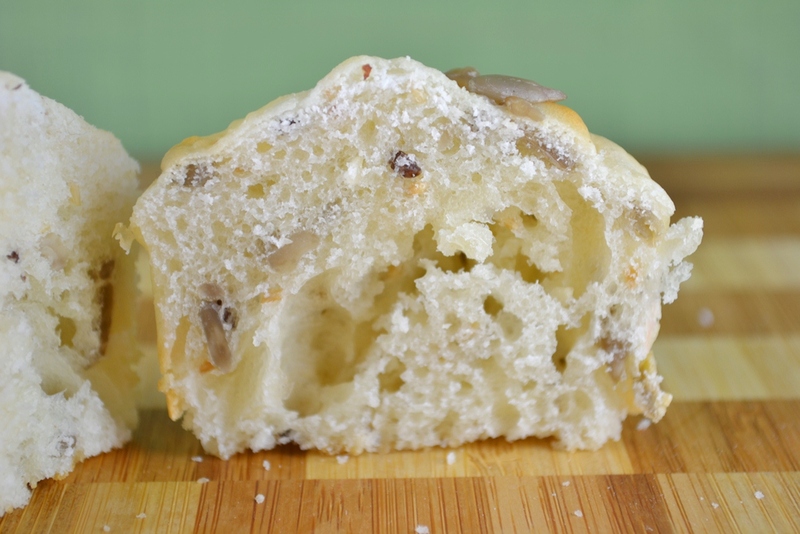 It’s pretty much like seed bread, just in a muffin form. I didn’t try that, I just ate them as they were. But it certainly would be an option. I think I should try more of those savoury muffins. Onion muffins sound interesting for sure and I would guess they go well with some bbqed meat. Do you have a favourite muffin flavour? Something you can’t pass. 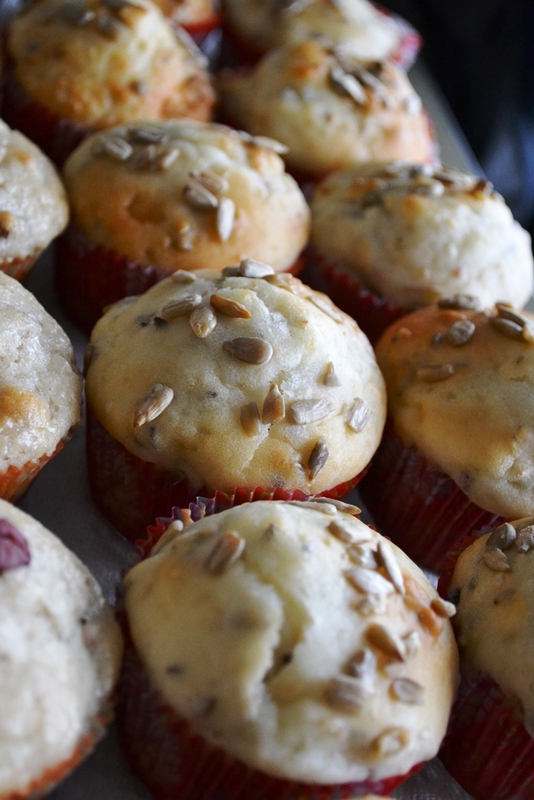 Posted in Muffins and tagged baking, breakfast, muffin, nutritious, recipe, seed. Bookmark the permalink.